Last Wednesday TRIO FOR RIO put in a very gutsy performance to win the 2m7f novice hurdle at Bangor-on-Dee. The Million In Mind’s five year old was partnered by Gavin Sheehan who did what he does best and lead from the start. His brilliant judge of pace kept them in front, never giving up less than four lengths throughout. Four flights out Gavin began to kick for home and finished 17 lengths clear of second at the line. 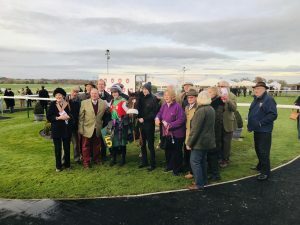 This youngster was bought out of Ireland after point-to-point successes, and the step up in trip since his first run for us at Carlisle really played to his strengths. 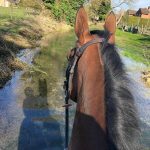 Novice hurdles are the building blocks to a horse’s career and winners mean exciting times ahead. 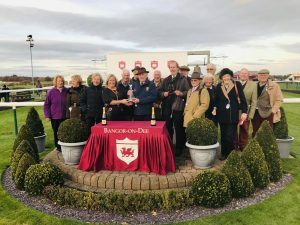 It is also fantastic to get a winner for the Million In Mind Partnership. 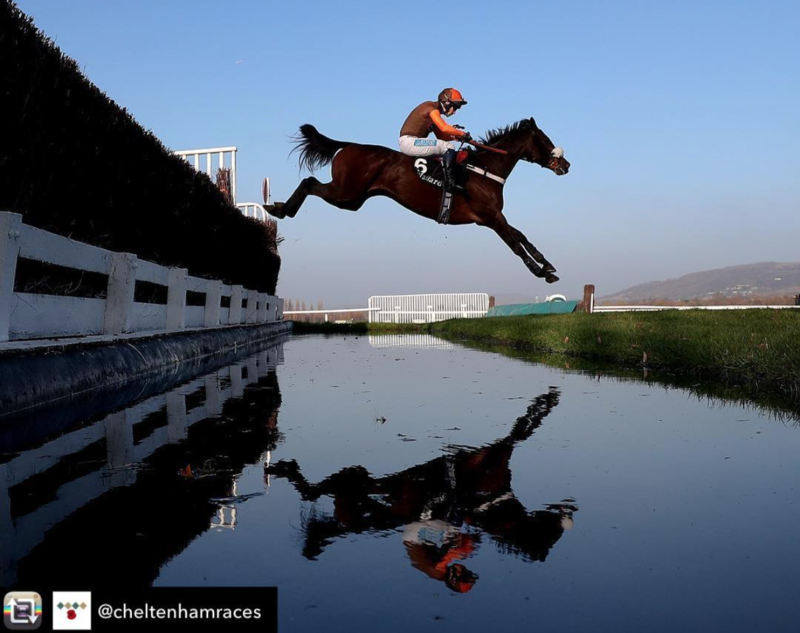 The weekend saw another return to the ‘Mecca’ of National Hunt Racing, Cheltenham. We had three runners and each one of them did us proud. First was the chance of the brilliant Waley-Cohen mare THEATRE TERRITORY. Last year she was a warrior battling it out at some of the top tracks and hitting the crossbar each time. This meant she has stayed a novice for this season, but she is one of the most experienced Novice Chasers you will see. On Saturday she led the charge around the Gloucestershire track. She jumped and galloped incredibly well and was just caught by Ibis Du Rheu of Paul Nicholls. 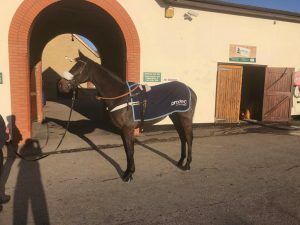 THEATRE TERRITORY is a wonderful mare and she is destined for great things, she has just been very unlucky in her races not to come out on top. Her main aim is the Grand National but hopefully she can pick up a few on the way. Cheltenham also brought the return of MAHLERVOUS. 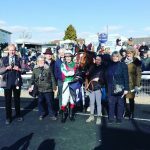 This horse took to jumping well last season and last December won a Maiden Hurdle at Southwell. 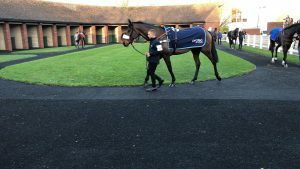 On Saturday he ran in 2m5f handicap hurdle and ended up just being headed in a large runner field. It is a shame that he didn’t come out on top, but he ran brilliantly and this is a very promising start for the season. Our last runner was WESTERN RYDER. 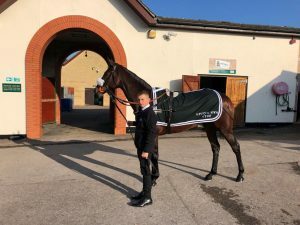 He was one of our star bumper horses who made a very positive start to his hurdling career last season before stepping up in class and running some huge races and beating horses like Lalor on the way. 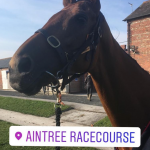 Yesterday he ran in the prestigious Greatwood Hurdle and ran to credit fighting it out in the front group of finishers in a very competitive field of horses. All of these runs give us plenty to get excited about and promise a great 2018/19 season.